Meet Dr Bruce Wauchope. 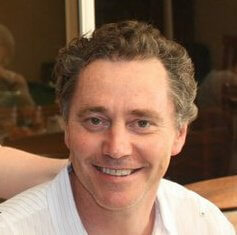 Bruce is the Principal of the Bedford Medical Clinic, Clovelly Park, which provides services in General Medical Care. He has an interest in Men’s Health, Skin Cancer, Melanoma Diagnosis and Tropical Medicine. Molechecks Australia, part of the the Bedford Group, is one of the leading diagnosis clinics of Australia for skin cancer. Bruce is a keen diver and has dived all around the world since 1980.